New album from Pickering Pick is the same old…beauty! Sam “Pickering” Pick has once again graced us with another one of his beautiful acoustic albums. I say “again” as he has numerous albums across various media hubs (and usually all for free) and I don’t know why this guy isn’t famous. The music created is that perfect hushed folk song that sometimes is just needed. 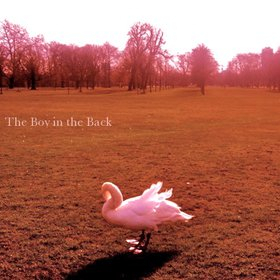 This new album “The Boy in the Back” has a few doozies in that department and overall provides one of the best albums in a while for me. Pickering Pick came to be known by myself via the Rate Your Music website as he provides all his albums as a free download (currently at 9 albums, 2 EPs and a single!!!). While he may be a bit too delicate for some, this music is absolutely beautiful and comes across as something so honest and fragile I always wonder why it is something that he parts with so easily. Maybe that is the whole idea though, something like this just needs to be shared. Please visit Pickering Pick, friend him, listen to his music, support his talent…he is one of the good ones folks. Visit Pickering Pick on Rate Your Music, Last.fm, Facebook and Bandcamp. Dude, I don’t know how I freaking have missed out on this guy up to this point. “Annabel” is freaking killing me right now. This is so freaking good. Reminds me of that solemn, melancholy vibe that Elephant Micah has so mastered. I owe you big time on this one, Smansmith!